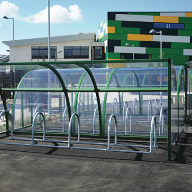 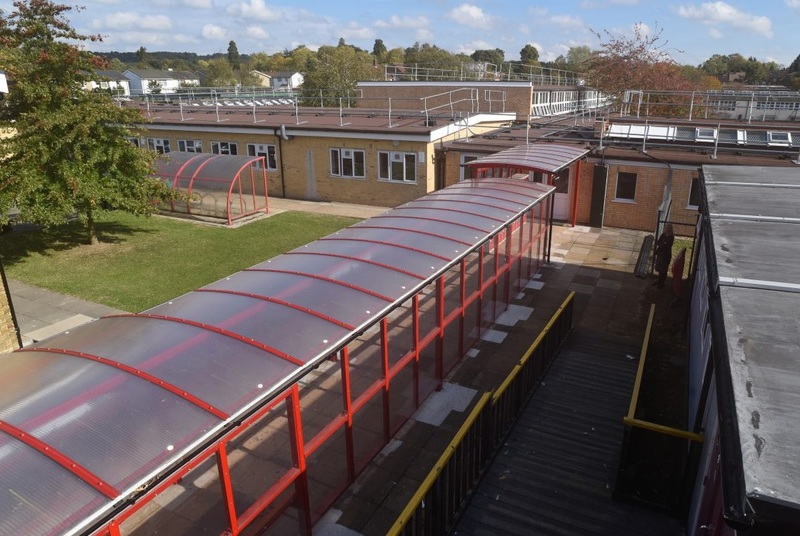 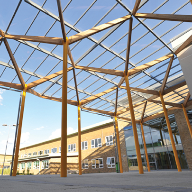 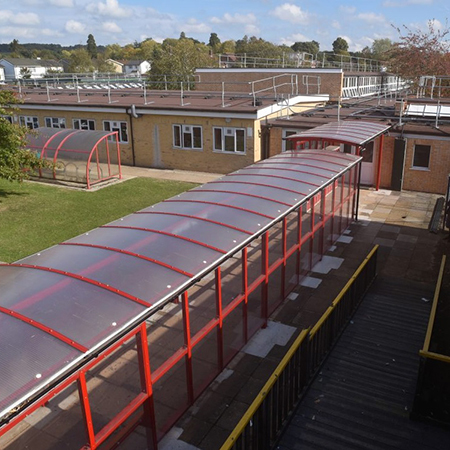 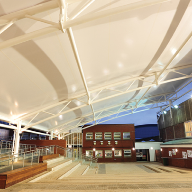 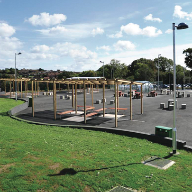 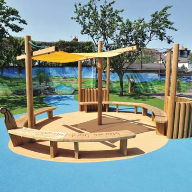 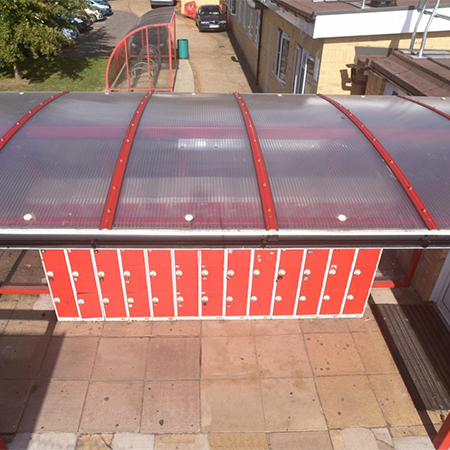 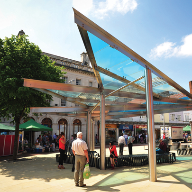 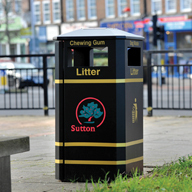 Broxap have provided a bespoke version of their Newcastle Senior Symmetric shelter for Hatch End High School, in Harrow, Middlesex. 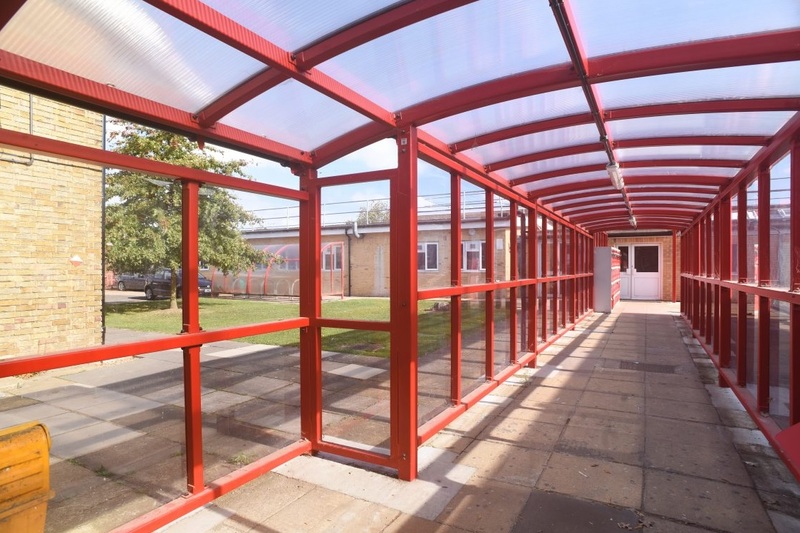 The shelter will cover the open area between two school buildings, as well as creating a walkway to cover a bank of student lockers. 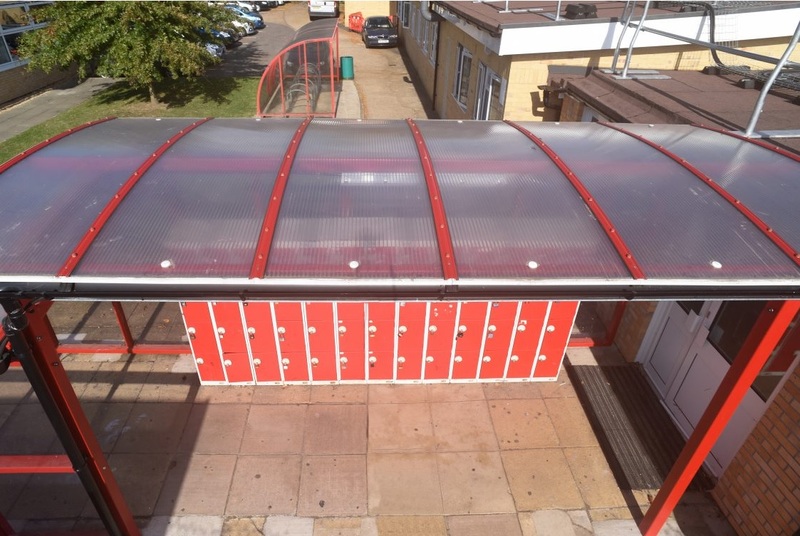 Now installed, the shelter has lighting, gutters, and rainwater pipes to discharge rainwater at ground level. 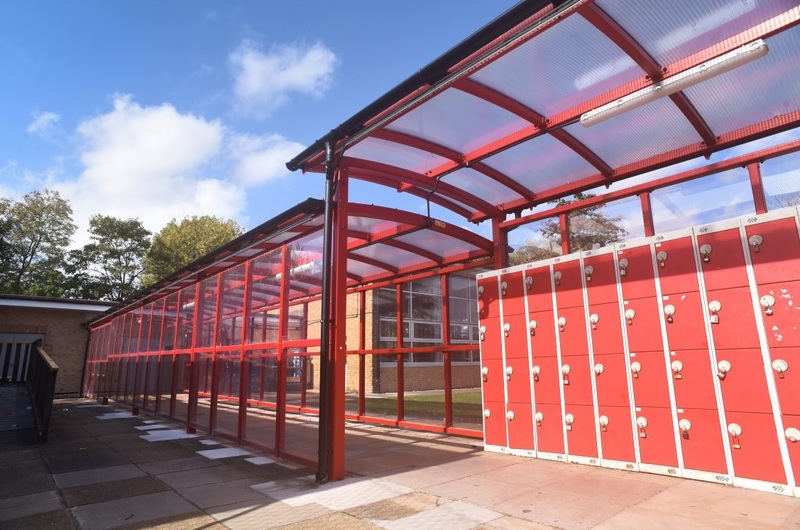 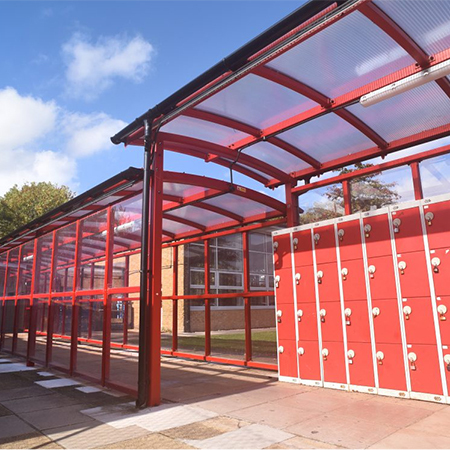 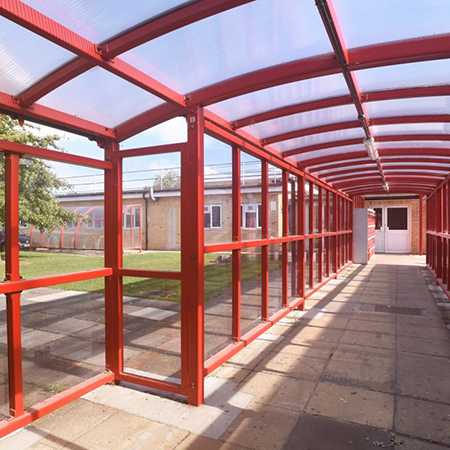 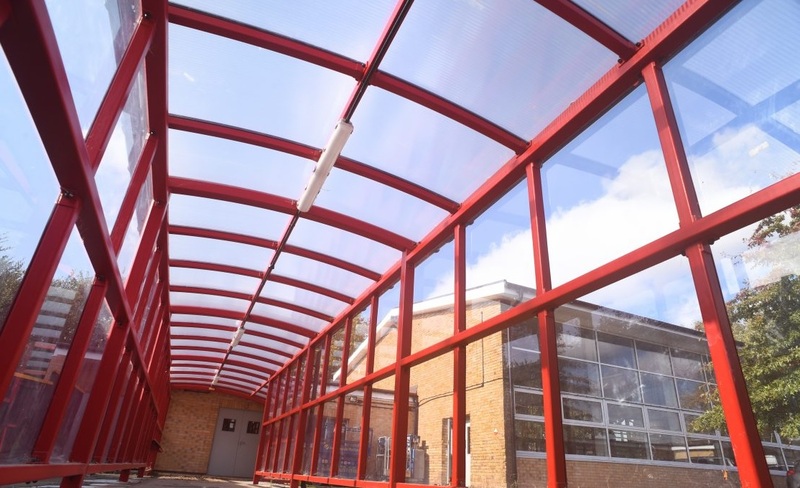 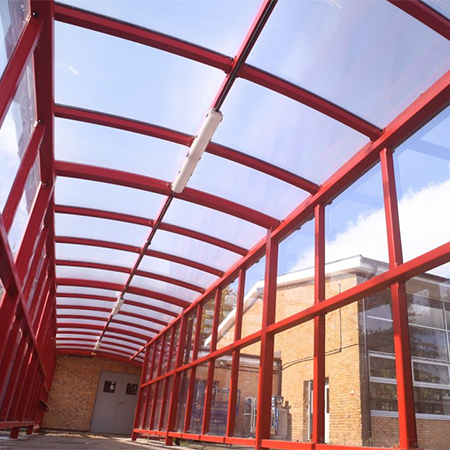 Broxap powder coated the shelter ‘Signal Red’ to complement existing school and locker colours.